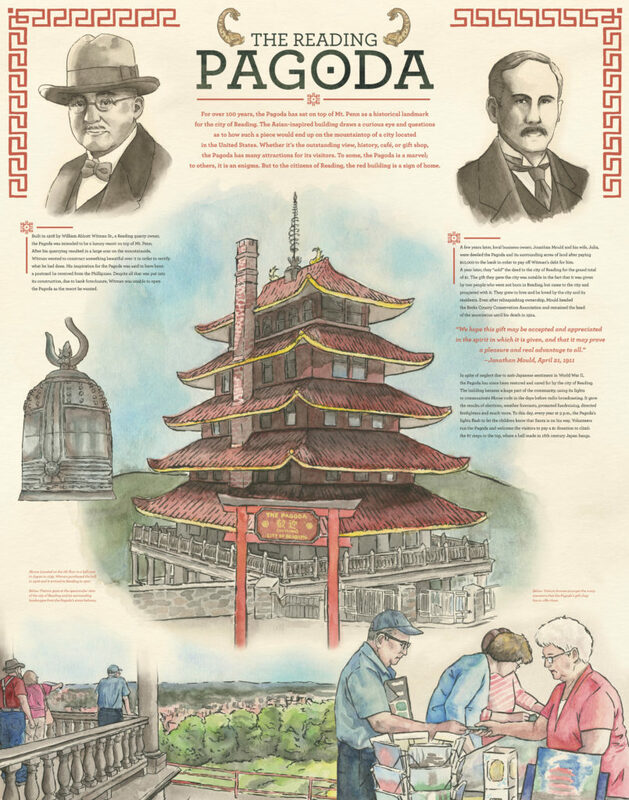 The Reading Pagoda was always a constant view from my life, but I had never been inside the building or even researched it. For this project, we had to pick a subject pertaining to Kutztown or a place or person nearby that was worth visiting. I chose the Pagoda and visited it on the weekend to tour the building. I took my own reference photography for the project and researched extensively into the background of the building. I illustrated it with ink and watercolor, and experimented with a coffee-stained texture background.